There is something to be said about taking time to be out in nature and enjoy a few minutes of PEACE.. Last week our world was OFF, Muscle Man was out of town and I was left with the Little Studs. With the help of Tall Sister we got out of the house and went to the park. 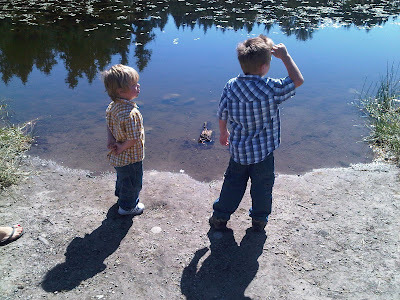 There were so many kids, parents, weirdos, etc.... but when we left the park area and stood by the lake it all melted away and there was QUIET. I urge you to get outside and find your quiet. Have I mentioned how much I love Muscle Man?? Yes, OK good.. 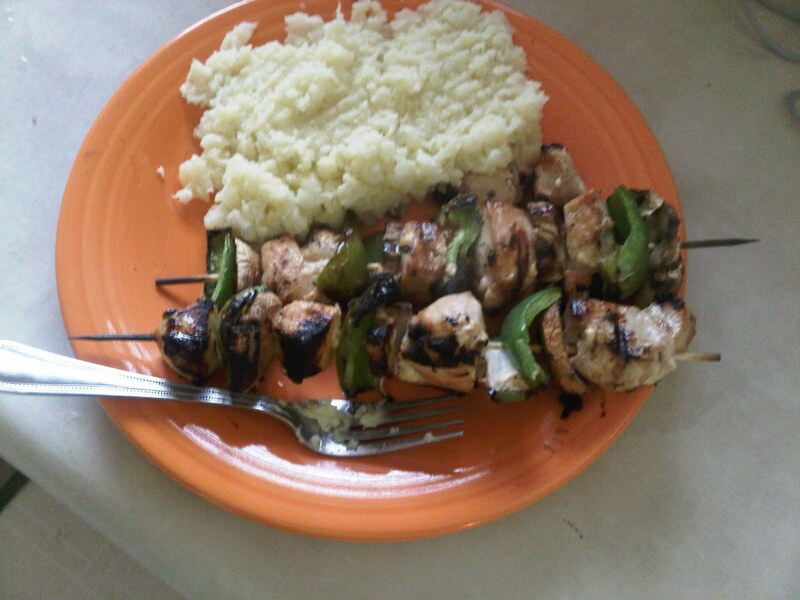 He knows I have been disappointed with my eating so he made an uber healthy meal on Monday.. Mashed Cauliflower, the boys think it was Potatoes don't tell, and chicken skewers. YUMMY!! After this meal I felt so light and healthy. Score for a PERFECT Summer plate. I am working on my PACER skills for the upcoming You Go Girl Half Marathon when I pace TMB HERE for her sub sub 2 hour goal. I ran 5 miles yesterday (hit 80 miles for August!!! How are you all doing?) trying to keep the pace. One thing that I am NOT GOOD at is keeping a consistent pace, I speed up, I slow down, URGH!! I have less than a month to get it together... One thing that I must say is I am MOST comfortable in my Brooks Running EZ-T's HERE and a Running Skirt HERE or Running Skirt Capris.. I have tried other tops and bottoms and this is my uniform. The Brooks tops are long, fitted and made of super durable and soft fabric. 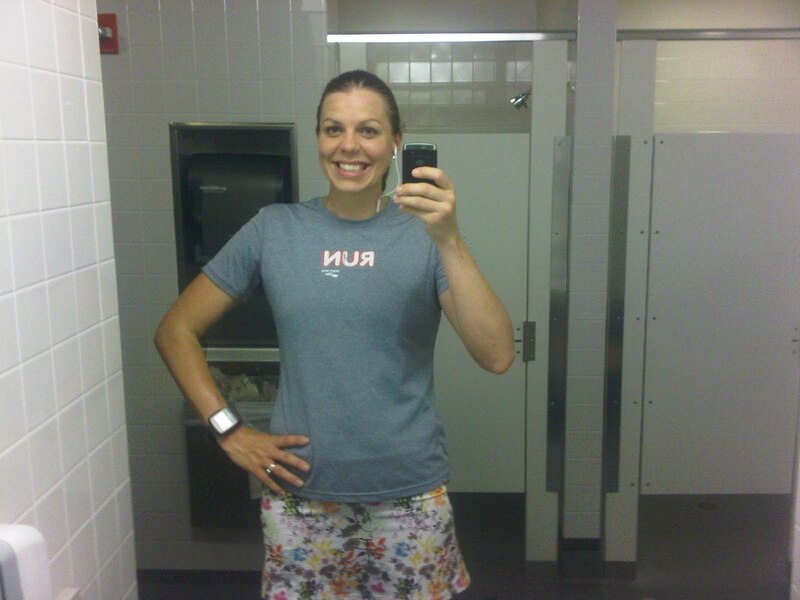 The Running skirts are forgiving, girly and finish an outfit. *****With the RAIN out there today I am reminded that Fall weather is coming which means NEW GEAR!! Here we go again.. 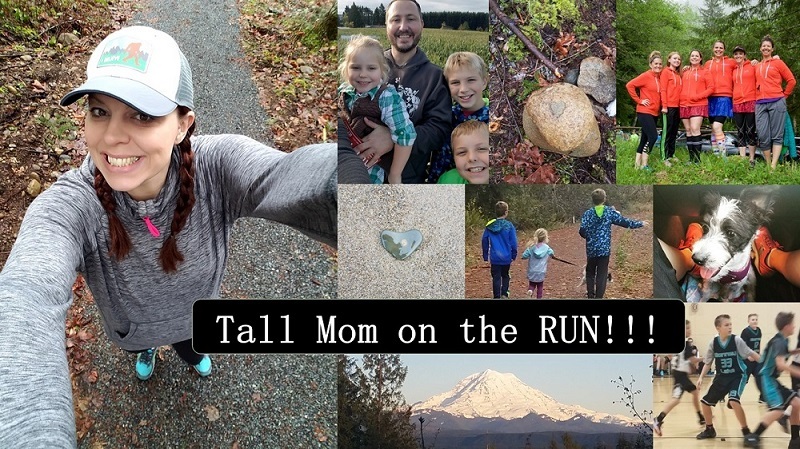 I have lots of products I am overdue on reviewing, including Somnio Running shoes HERE, an adorable scrabble tile necklace, headbands, water bottles, backpack, some fitness products and more... I am hoping to find the time and mental power to fill you all in ASAP. If you have a product you would like me to review please send me an email tallmomontherun (@) hotmail. LOVE that pic of the boys; so sweet!!! Congrats again on the new wheels. She's PURDY! Love the picture of the boys! And can I just say that I love that you have become a skirt convert? Sweetness! Love the pic of the little studs. Too cute! 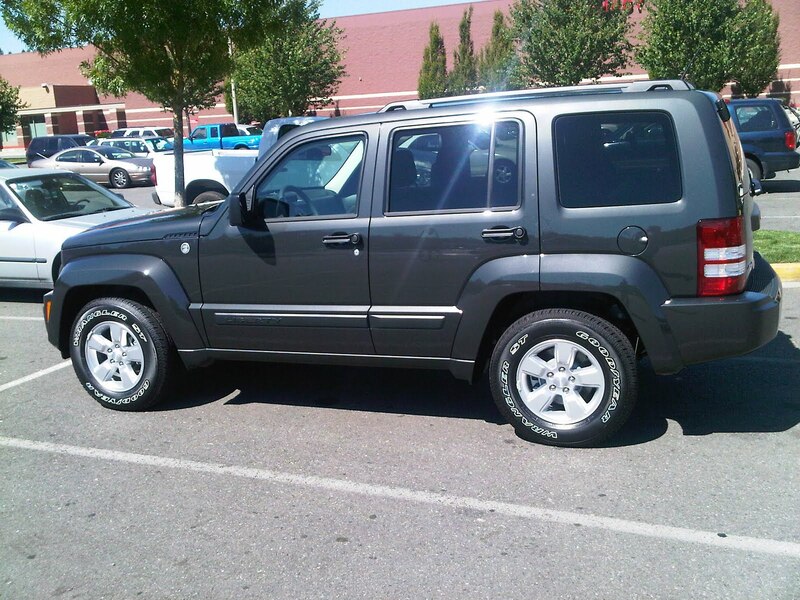 Love the new ride!! Yay for leg room! I love getting outside and enjoying some peace and quiet...and yes, even some weirdo-watching! Thought of you today when I noticed my latest blog post was #333! Mashed cauliflower sounds good!! I love cauliflower in that it takes on any flavor you give it. Its a good filler for casseroles and such too. Totally feel the same way about their skirts. 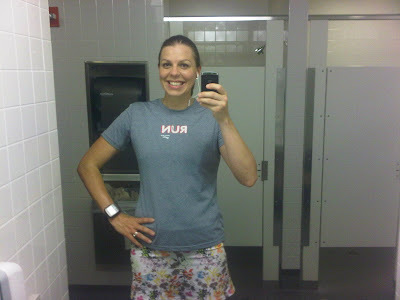 The only other bottoms I run in are the Oiselle Roga shorts. Love both! Oooh I bought cauliflower this week. maybe I can "try" the mashed version. I've heard it is good! Yay, for hitting 80 miles. I have not...50 though, which isn't bad for me! I love that picture of your boys. I totally know what you mean about finding your peace. Yum...I love mashed cauliflower too! I'm a huge Brooks clothing and shoe fan too...that company is just awesome! I love mashed cauliflower! Yummy. Now I'm going to be craving that. The boy's photo is adorable. I am not very consistant in the beginning but then I pretty much fall into a steady pace. Of course I lose a little up a hill than gain it on the down side. If Hubbs does the half, I don't know if I'd make a very good pacer but I can encourage the heck out of him! Diggin' the new ride! Saweet! I'm the same way: my pace is all over the place. Initially I start my runs out at 8:30 pace and feel good, then almost 3 miles later, I'm between 9:15 and 9:30. It's frustrating! love the pic of your boys, super cute! 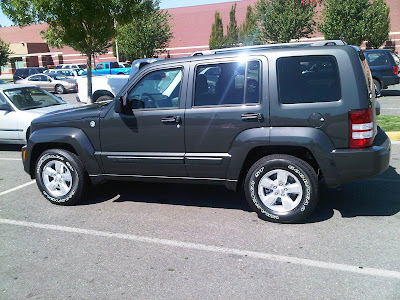 The jeep looks great, hope you like it! It's about time I try mashed cauliflower. I've heard it's delicious. can't wait to hear what you think of the Somnio's. i got some last week and am in love with them! great picture of your boys:) isn't quiet wonderful? I love the idea of mashed cauliflower. Yum! I love my capri skirt too. It is so, so comfortable. I can't wait for cooler weather so that I can wear it again (ssshhh).